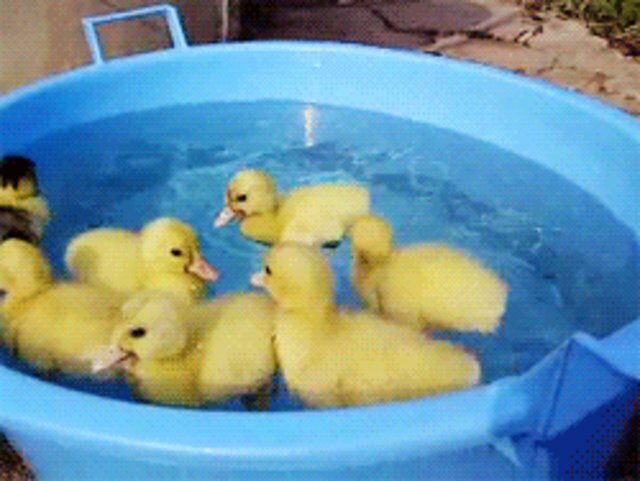 Little ducks prefer to follow a leader as he boldly ventures forth - into a bath, for example - British researchers reported recently in the journal Ethology. Observing 48 domesticated Pekin ducklings over the course of six days, with each little duck living in a group of four, the scientists were able to determine that one duck within each group plays the role of "initiator." The lead duck would pioneer movement from bathing areas (where ducks could drink, "dabble" in the pool or bathe) to a transition area, or to a feeding and resting spot. 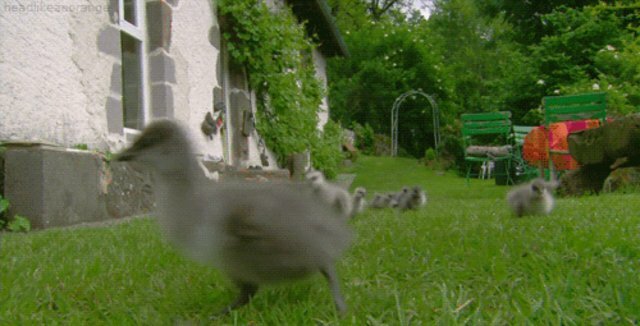 In nine out of 12 groups, a duck leader "consistently initiated most movements to unoccupied areas on all days of observation" the authors write. The other three groups weren't leaderless, but their captain duckling only took charge on a majority of the days, rather than the whole week. 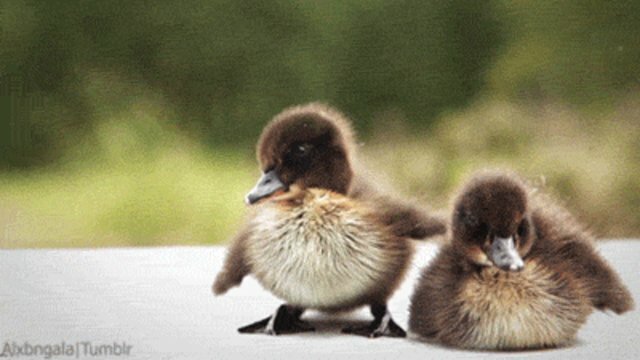 Ducklings didn't pick just any feathered friend as a leader - the ducks were "choosy about who they followed, preferring to follow first initiators." Fortune, it seems, favors the bold duck.